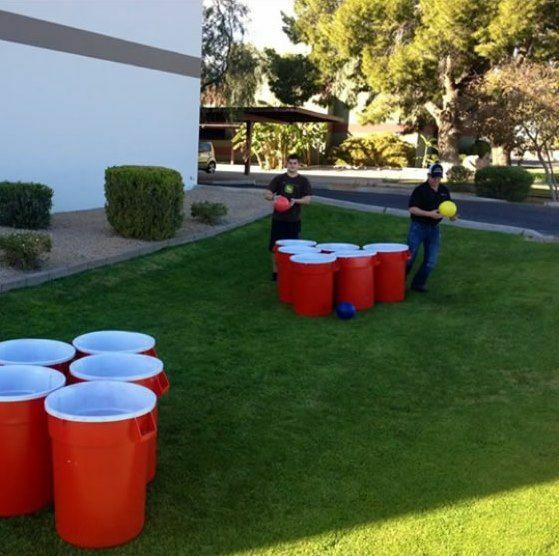 Beer Pong is one of those games that’s a perfect icebreaker for a party or tailgate. As the game has grown in popularity across the country, more variations have begun to pop up. This is just one of seven beer pong games College Humor came up with, and from the looks of it, it’s a game changer. 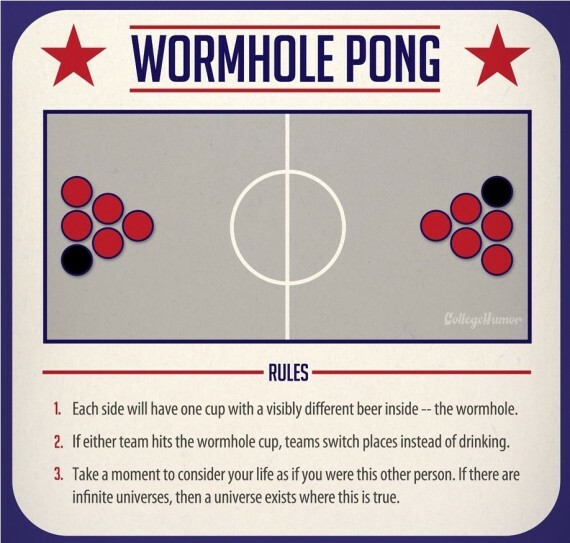 If either team hits the predetermined wormhole cup, players switch sides instead of drinking. In a slightly more expensive (but durable!) 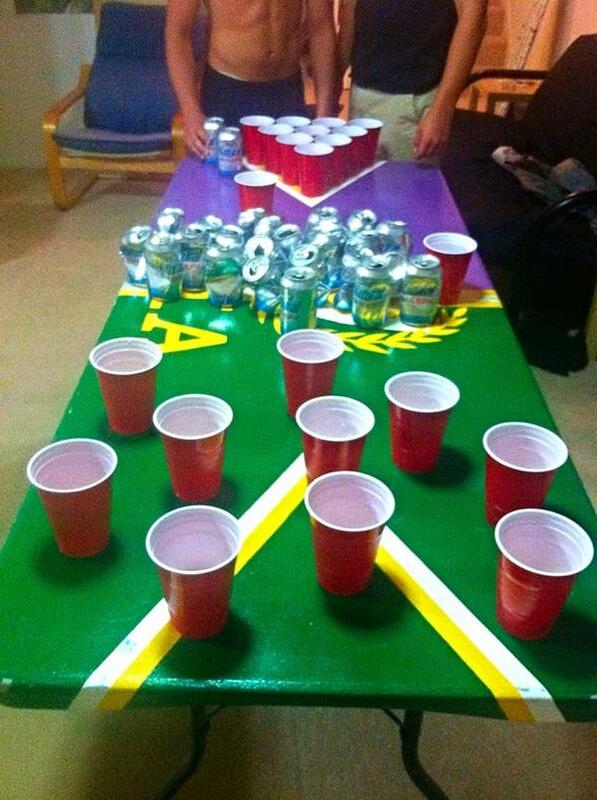 version of beer pong, you can spray paint 12 large trashcans and use a volleyball to toss into the opponent’s bins. 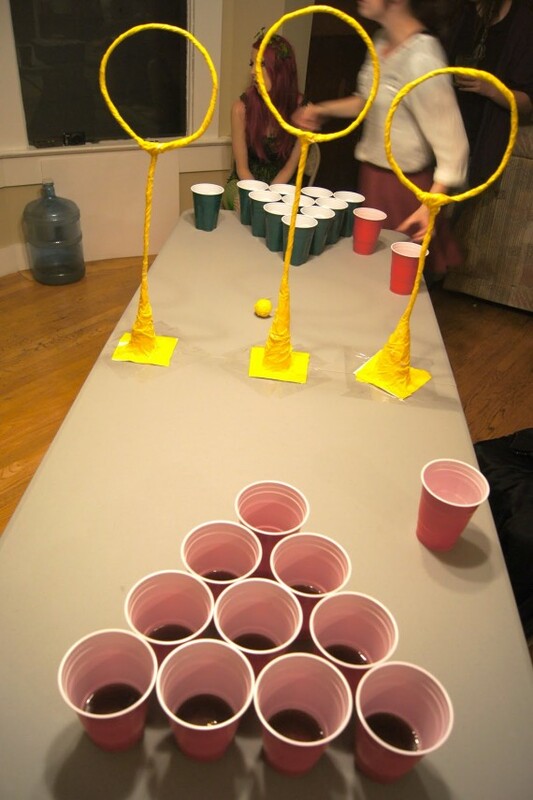 For all the Harry Potter nerds out there (raises hand), here’s a version of beer pong that has the standard rules of a regular game, just with added hazards. It will probably make the game last a lot longer, so be sure to have a sippin’ beer off to the side. This game can be played with either one hoop or two. Players stand behind a predetermined line and with a “shoot till you miss” format. Your beer pong table is set up with the cups in a circle, and all but one cup are filled with water. Whenever one vodka is hit, the losing team must take both liquor shots. Have an old air hockey table lying around? 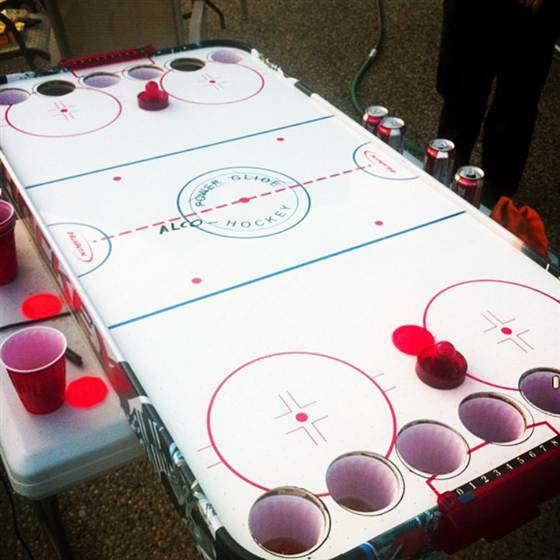 Take a Saturday and cut some holes into the table to make the perfect combination of hockey and beer pong. Whenever one side hits the puck in, the opposing team drinks. Just make sure you have an extra large water cup to clean off that puck. 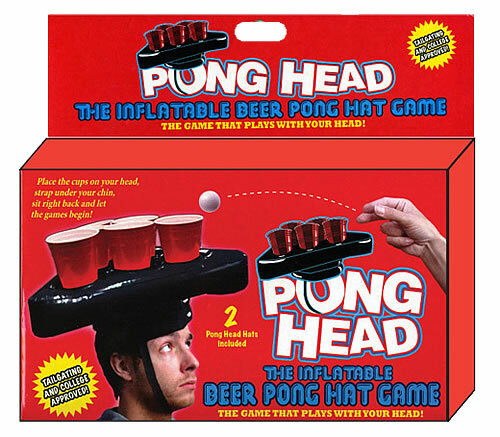 If you want to make it that much harder for your opponent to hit a cup, get this inflatable beer pong hat set and hope that no one decides to dunk on you. In a game that will teach you a bit of American history, two sides – “Vietnam” and “America” – are set up for a match. The American side is in a traditional format, while Vietnam has cups scattered everywhere. If the Vietnam side makes a shot, the American team drinks a beer, keeps the cup in its spot and refills with beer. If the American side makes a shot, the Vietnam team drinks a full beer and removes the cup from the table. And yes, just like the history books told you, the idea is that the American side will always lose. Featured image via We Heart It. This post originally appeared on Gamedayr. 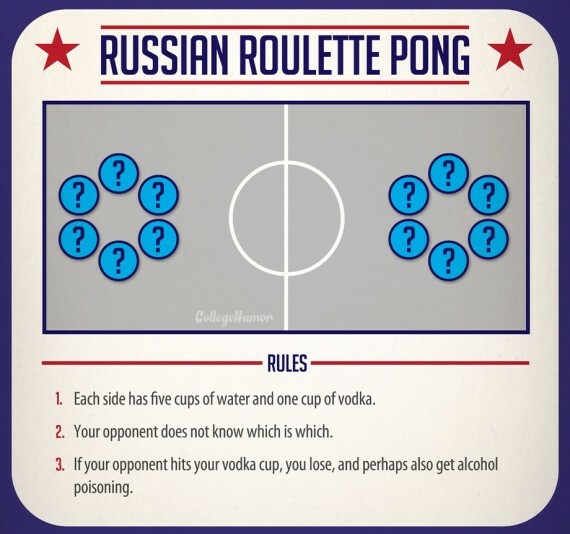 The post 8 Ways to change up your beer pong game appeared first on GuysGirl.